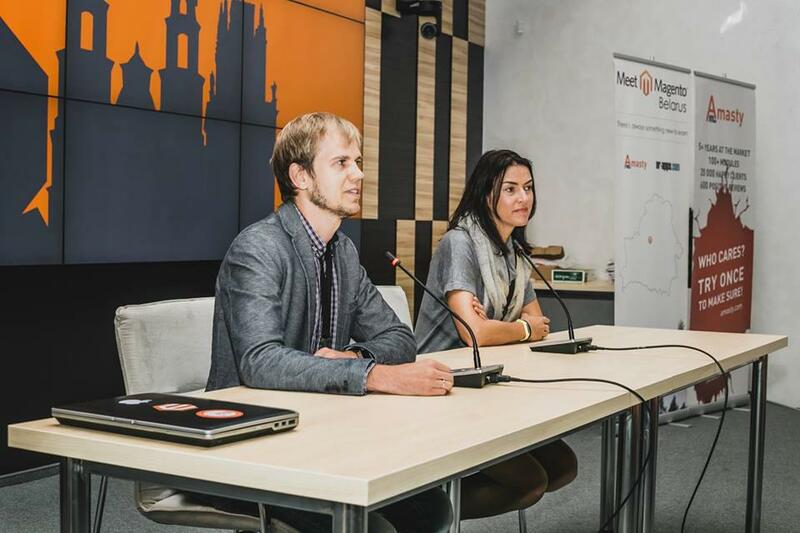 A few months ago we came to know about Meet Magento Belarus 2015 conference, organized by Amasty, and decided that it’s an event worth attending. After registering for the conference we got an email from Amasty asking if any of our developers would be interested in participating in the event and telling the world something useful and cool. Of course we have such a person — it’s Denis Bosak, our lead Magento front-end developer. Denis picked the topic, we got him ready with an interesting report and set off to Minsk. Let us show you what we saw and what we heard. Our Denis was the first speaker on the agenda. It was the first time he had to take the floor in front of a big audience, but take our word for it — he was just great! 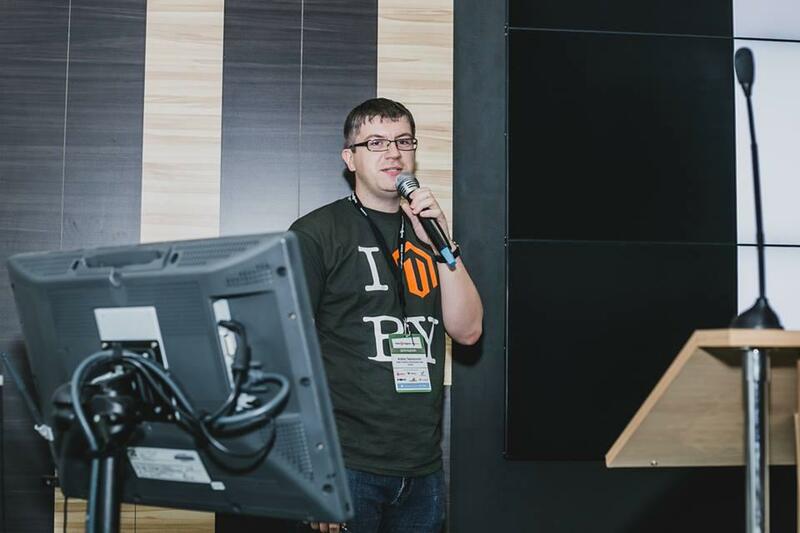 The other very interesting presentation was made by Uladzimir Kalashnikau from EPAM and it was about a painful problem almost every Magento developer faced: import and export. 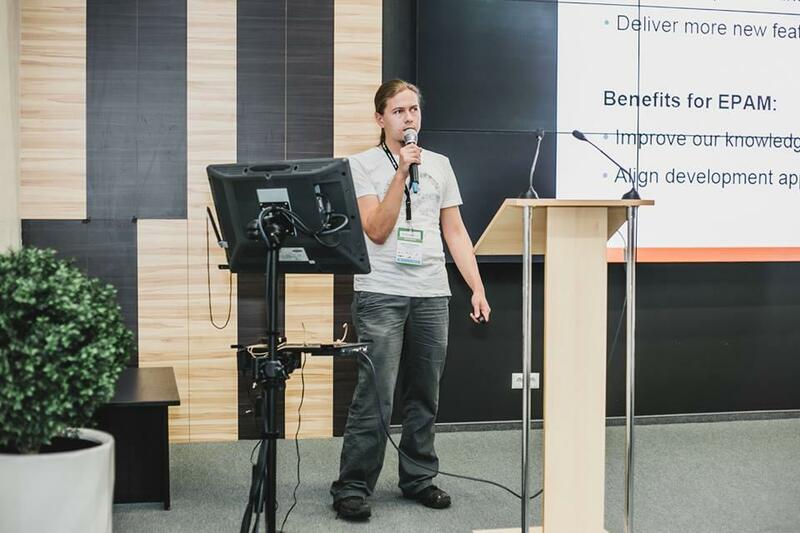 Uladzimir provided a very detailed and data-rich insight on the aspects of import/export their team investigated and how exactly they managed to improve the situation in Magento 2 release. 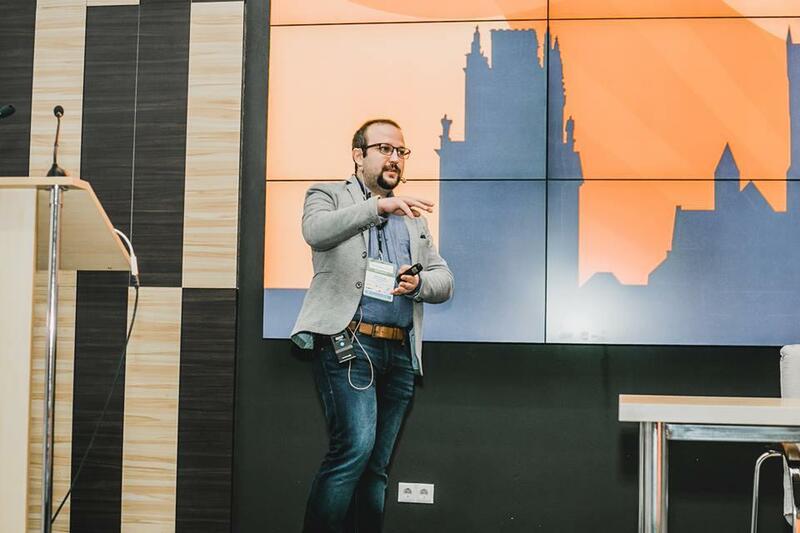 Many presentations referred to Magento 2, and Mladen Ristic from Inchoo covered the way checkout is handled from front-end perspective. The number of steps is reduced from 6 to just 2, but the loading time of checkout page without browser cache reaches 25 seconds! This is a bit frustrating and we hope that Magento team, whose representatives attended the conference, are on it. And during the coffee-break Mladen treated everybody with rakia, the national drink of Croatia. Cool presentation, cool guy! Certainly, one of the brightest presentations was done by Guido Janssen. 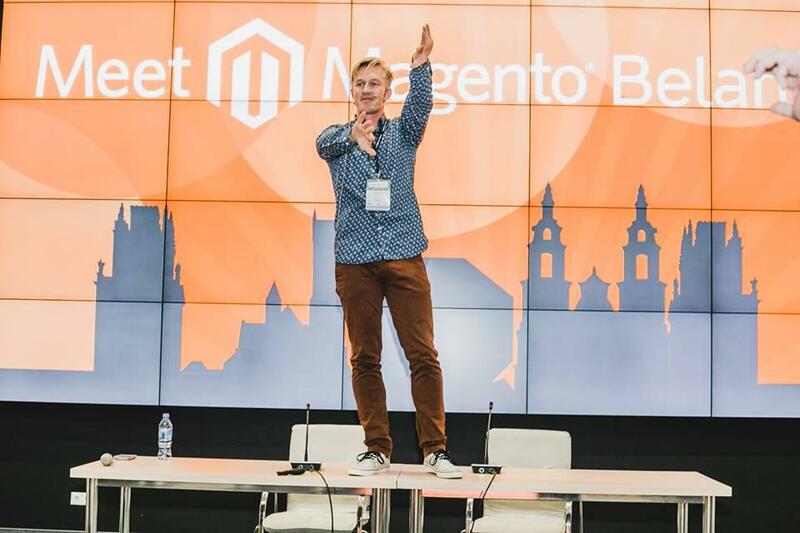 Just imagine a crowd of serious Magento developers and IT-guys who find themselves seeing Guido jumping onto the table and asking everybody to stand up and repeat after him. And everybody stood up and repeated after Guido! 🙂 It was something and it really cleared the air! The other two presentations we were very fond of were by Igor Bondarenko from Neklo and Andrey Tataranovich from Amasty. 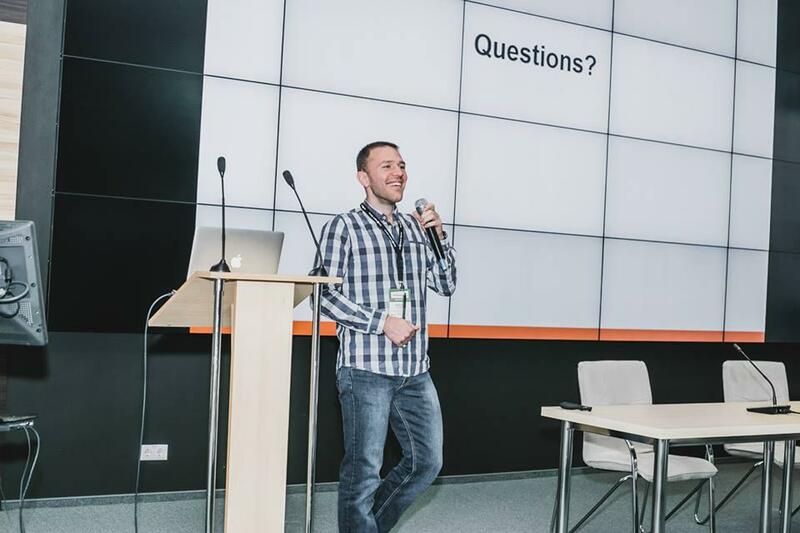 Igor covered the best practices in functional testing of Magento extensions, and Andrey got everybody interested in the technical aspect of Magento website support: what issues happen and how to handle them with a straight face. 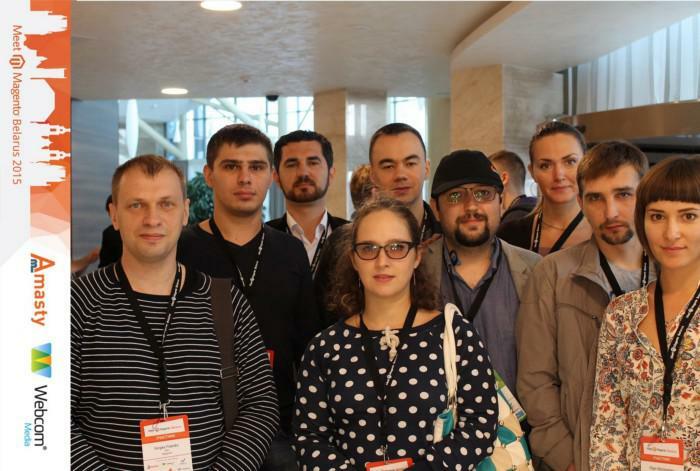 It’s worth mentioning that Magento representatives attended the conference as well. Those who laid a lot of hopes on them were a bit upset as there was no technician to answer the technical questions everybody had. 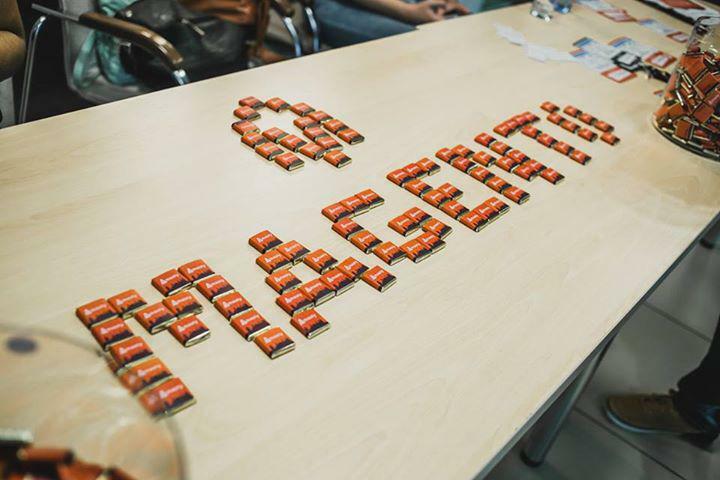 However, there was a close discussion between Magento representatives and front-end developers, which also included our Denis. He cannot disclose anything but mentioned that the work underway is going to bring something really powerful and he will take part in the testing. Overall we are left with good impressions: many new and interesting things heard, many new and nice people met. Looking forward to receiving good news from Magento soon and to attending other Meet Magento conferences in the future — highly recommended!